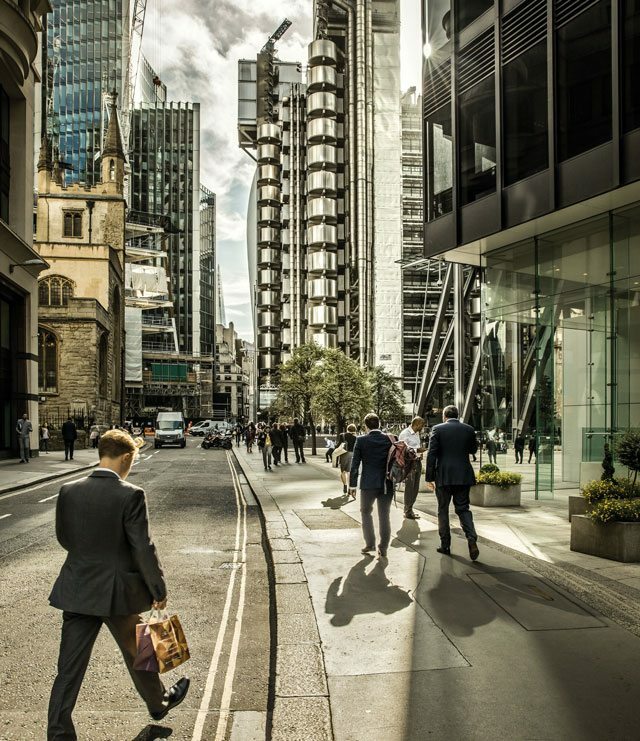 The City of London teems with intriguing structures whose stories open gateways to England's past, present and future. Why are 10 million visitors from around the world drawn each year to the City of London? 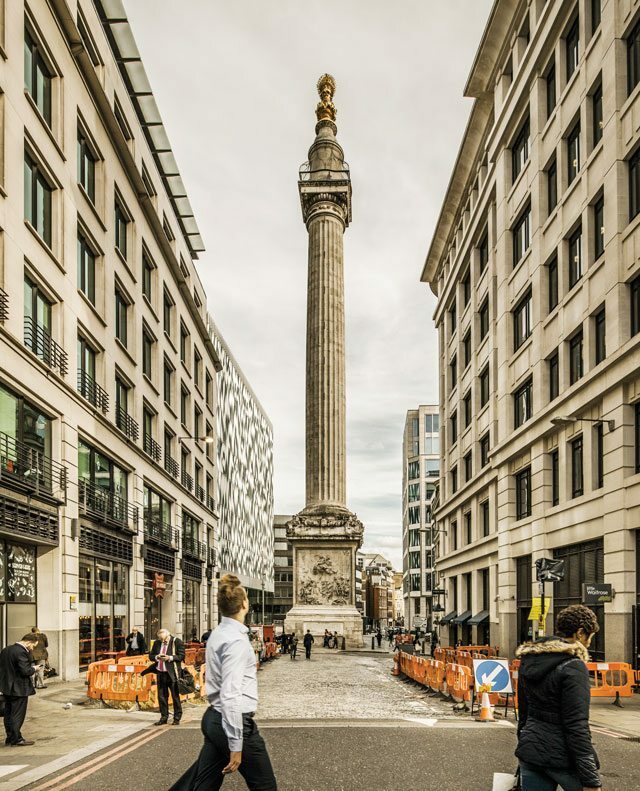 The compact area around the new Four Seasons Hotel London at Ten Trinity Square offers unmatched access to the past, present and future of England. Over two millennia, innumerable important buildings were erected that tell the evolving, three-dimensional story of London. The City of London is London in miniature, but also on its grandest scale. 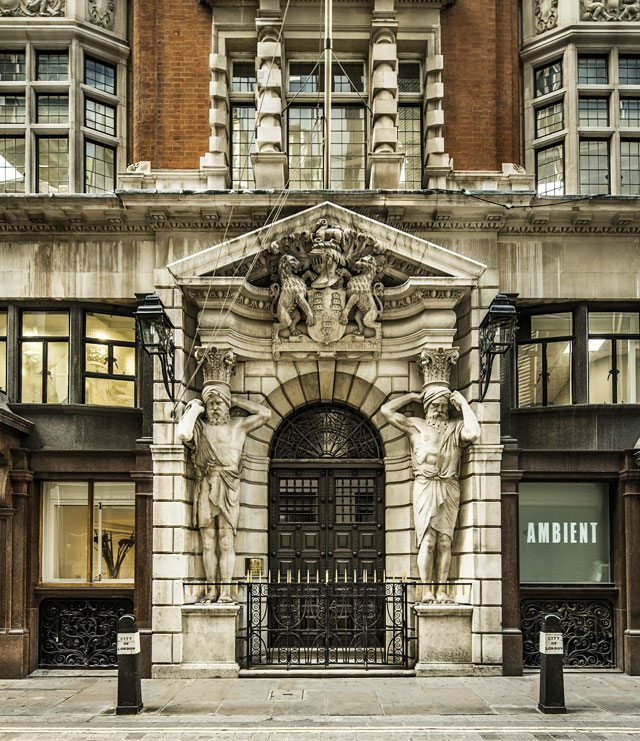 Within the streets and alleyways of the Square Mile, as it’s often called, lie many of London’s most intriguing and historic buildings. The City today encompasses much the same area and shape as the city the Romans founded after their conquest of Britain in AD 43. The River Thames – wider and shallower then – was narrow enough here to bridge, but deep enough to allow ships to come and go from the coast, making it the perfect spot for a trading post. Londinium, as the Roman city was named, rose along the river’s northern banks; it was a commercial and connected city from day one. Over two millennia, innumerable important buildings were erected: public spaces, places of worship, grand private houses, banks, offices. Here are 10 of the best, whose stones – and glass and steel – tell the evolving, three-dimensional story of London. Guildhall Yard was built on the site of the Roman city’s amphitheatre. Today, a subterranean display gives an evocative impression of the amphitheatre’s scale, and its outlines are traced above ground in the paving of Guildhall Yard. The City of London stands directly above the site of Londinium, and many Roman structures have been unearthed – some more recently than others. The site of the city’s amphitheatre was unknown until 1988, when excavations for the new Guildhall Art Gallery uncovered two sections of curved stone wall, 6 metres below Guildhall Yard. Investigation revealed that the amphitheatre was originally built in AD 70, and that it was extended in the second century to seat around 6,000 spectators, who would have watched gladiatorial contests and other public events there. Begun in 1066 and completed in 1100, the Tower of London served as an assertion of Norman might and protection over the city. 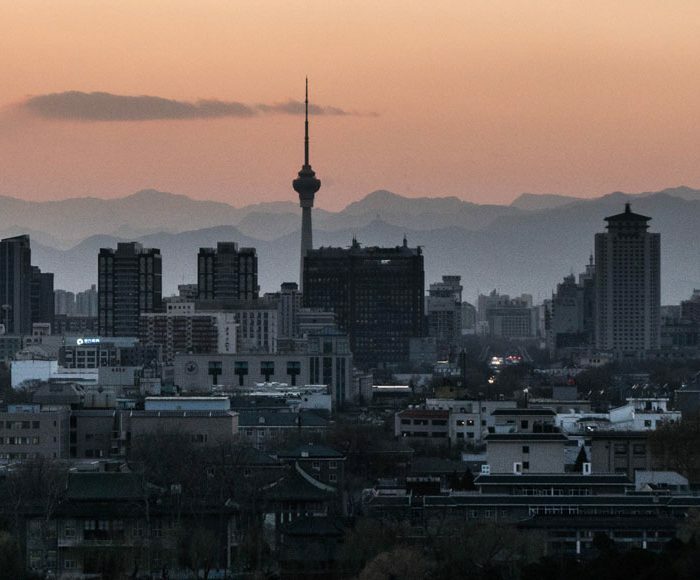 After the Romans retreated in the early 400s, the City seems to have been largely abandoned. Though King Alfred initiated repair of the Roman walls in 886, it wasn’t until Britain was conquered by the Normans in 1066 that the City regained its importance, signified by the construction of the central castle keep of the tower of London. 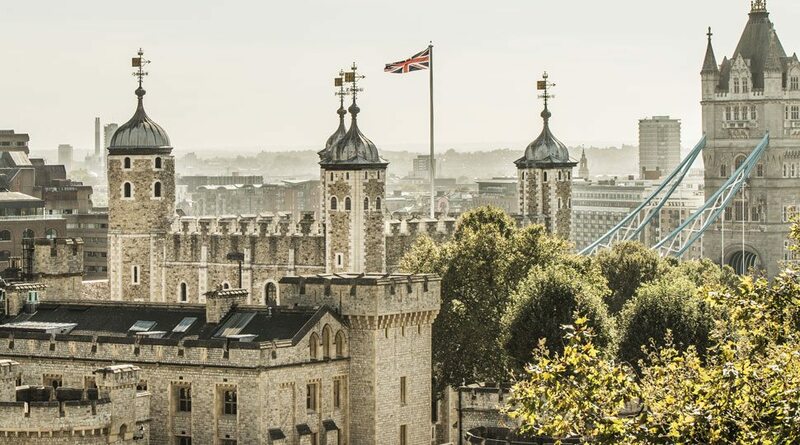 A royal residence and military stronghold, the keep is still the heart of the Tower of London. And though much of it was restored in the 1800s, the chapel of St John on the first floor remains the finest example in the country of Anglo-Norman architecture at its purest and most powerful. St Bartholomew the Great is all that is left of the much larger 12th-century church. 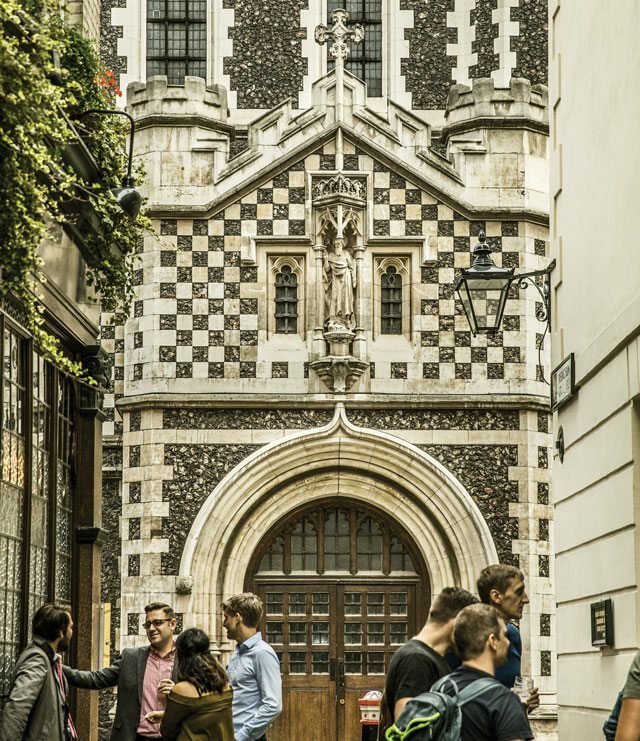 The City today may be synonymous with banks, but in the Middle Ages it was dominated by religious institutions, such as the Augustinian priory and hospital of St Bartholomew. The hospital, known simply as Barts, was founded in 1123 by one of King Henry I’s courtiers and still exists on its original site. Across the road, St Bartholomew the Great is all that remains of a once much larger church. Its interior – which you may recognize from the film Four Weddings and a Funeral – is wonderfully atmospheric, with its original Norman arches and internal oriel window. The five pre-Reformation bells in the tower are still rung for some Sunday services – London’s oldest man-made sounds. At the summit of the Monument, which commemorates the Great Fire of London, sits a gilded sculpture of a flaming urn. The Great Fire of London in 1666 was the largest single catastrophe in the City’s history, but out of the ruins rose many of its finest buildings. Chief among these are the churches rebuilt under the direction of Sir Christopher Wren, who designed St Paul’s Cathedral and the Monument, the 62-metre fluted Doric column that commemorates the Great Fire. Metres from where the conflagration began, it is built of creamy white Portland stone and contains an open spiral staircase with 311 steps that lead to a viewing platform. Drapers’ Hall is unusual in standing on its own private, gated road, Throgmorton Avenue, built in the 1870s and complete with a quiet garden. London’s medieval professions were organized into guilds. Though their original trade-union purposes generally have been superseded, a surprising number of guilds have survived, and their guildhalls are among the City’s most rewarding secrets. The Drapers’ Company bought the site of its present hall from Henry VIII in 1543 but rebuilt in 1667 after the Great Fire – though that work has been hidden behind later Georgian- and Victorian-era alterations. 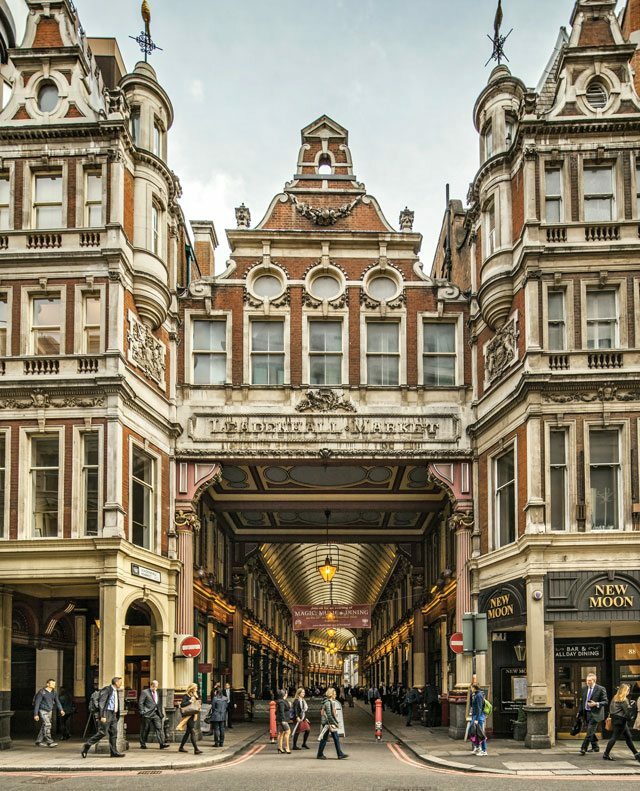 An attractive example of Victorian architecture, Leadenhall Market was designed by Sir Horace Jones, whose most recognized work is Tower Bridge. Tucked behind the futuristic Lloyd’s building, Leadenhall Market is one of London’s most attractive remaining bits of Victoriana. The buildings date from 1881, but there has been a general market on this site since 1445. Leadenhall Market occupies a historic site on the summit of one of the two low hills of Londinium; beneath it lie remains of the Roman forum, including the lower courses of an arch that can be seen in the basement of Nicholson & Griffin’s barbershop on the corner of Gracechurch Street. 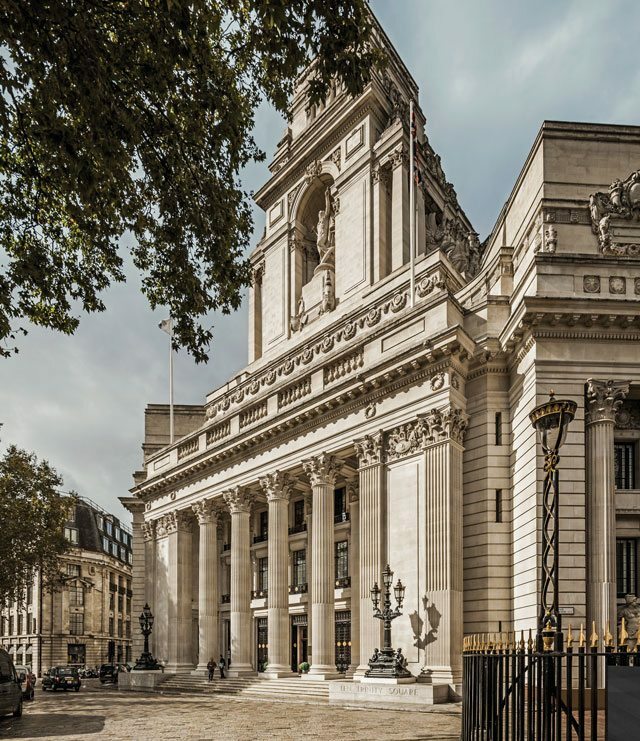 Completed in 1922, the Beaux Arts building that today houses Four Seasons Hotel London at Ten Trinity Square has been meticulously restored to preserve many design details. The Port of London Authority was formed in 1909 to run all the docks of London, then the largest seaport in the world, and to be responsible for the River Thames from Teddington to the ocean. 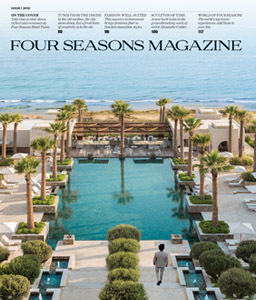 Its splendid headquarters – today home to the new Four Seasons Hotel London at Ten Trinity Square and Ten Trinity Square, The Residences at Four Seasons – was designed by Sir Edwin Cooper and built between 1912 and 1922. A Grade II* landmark on the Statutory List of Buildings of Special Architectural or Historic Interest, the building’s great tower features a statue of Old Father Thames, who points downriver to the source of London’s trade. The reception of the first general assembly of the United Nations, held in 1946, was hosted here in what is now known as the UN Ballroom, and was attended by (among others) King Faisal of Saudi Arabia and U.S. first lady Eleanor Roosevelt. 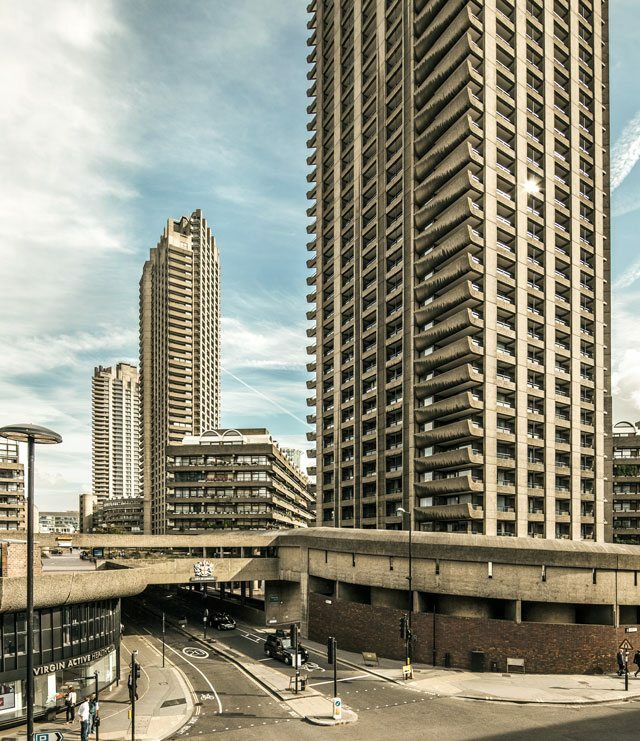 The Barbican’s Brutalist concrete style divided critics even before the complex’s completion in 1969. December 29, 1940, was one of the worst nights of the London Blitz. In 1958, the City Corporation bought 35 acres that had been destroyed that night, and commissioned Chamberlin, Powell and Bon to design a massive complex: more than 2,000 apartments in residential blocks and three 40-storey brutalist-style towers. Though many considered it overbearing, it has acquired fans, as well as a noteworthy performing arts centre – the largest of its kind in Europe – and is now one of London’s most desirable addresses. The Lloyd’s Building features an “inside-out” design, with building services like plumbing and wiring housed on the exterior. Starting small at Edward Lloyd’s coffee house in the 1680s, London’s maritime insurance market gradually evolved into the giant Lloyd’s of London. In 1986 it moved into its fourth and largest building, designed by architect Richard Rogers using a modular system for future flexibility. This inside-out approach, with a concrete frame clad in glass and stainless steel, was revolutionary. In 2011, it became the youngest building ever to be given Grade I status, putting it on a list of protected monuments that includes St Paul’s Cathedral. 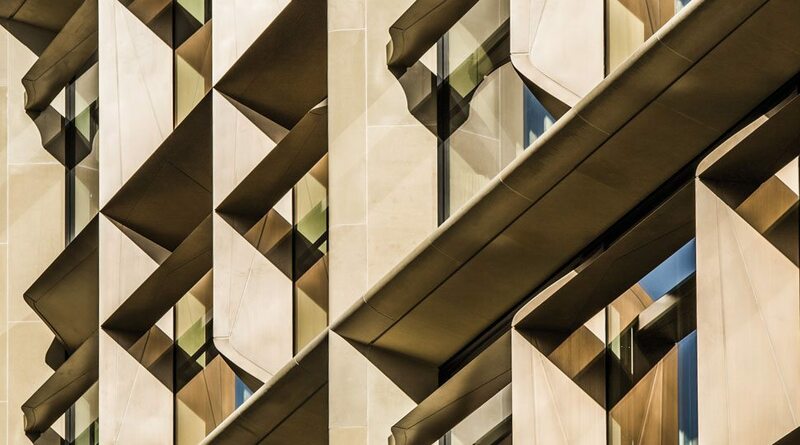 Bloomberg London’s exterior is defined by English sandstone and polished bronze fins, which shade the windows and channel fresh air inside. Michael Bloomberg’s European headquarters, begun in 2010 and set to open by 2020, will have 4,600 desk spaces and cover 3.2 acres. Designed by Sir Norman Foster + Partners, two 10-storey blocks are separated by an internal street that follows the line of a Roman road. The massive structure is supported by thousands of piles and clad in English sandstone and innovative polished bronze fins. Underneath lie the remains of a Roman temple, circa AD 240, to be reconstructed in the basement on its original site, putting one of London’s oldest buildings inside one of its newest – and bringing our story almost back to where it began. 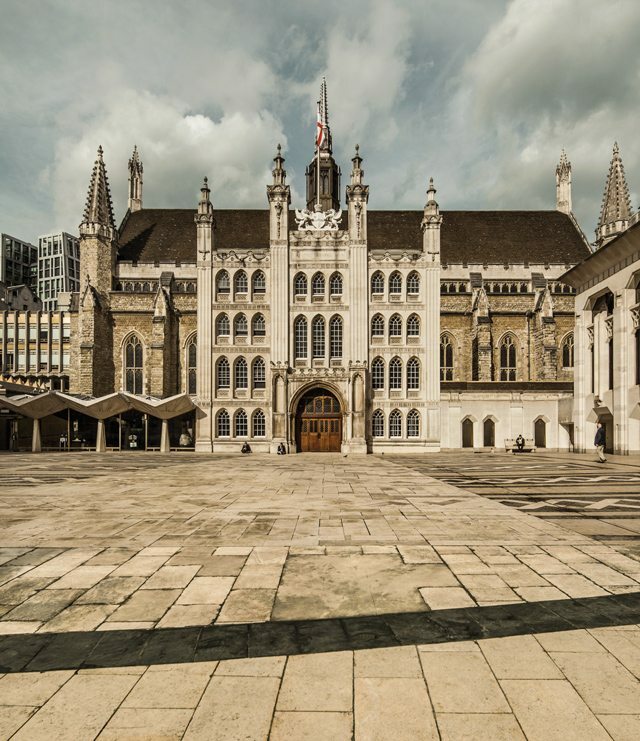 Start planning your historic stroll through the Square Mile. 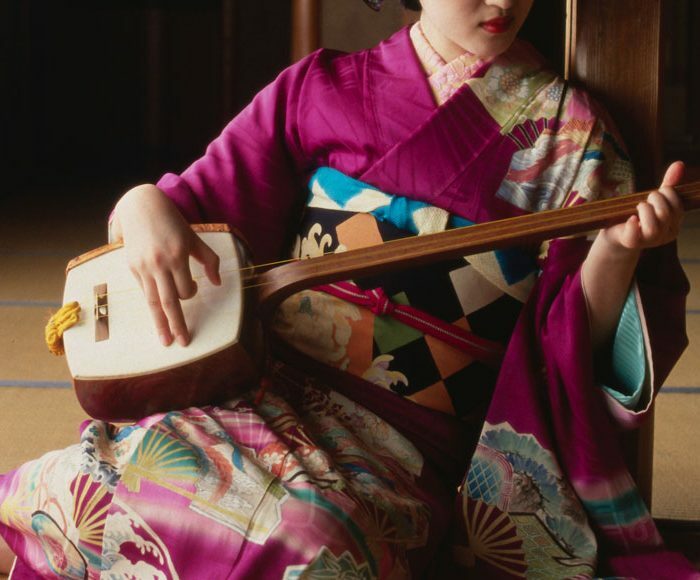 Experience the distinctive sights and sounds of Kyoto that reflect the Japanese city’s culture, rich with tradition.